Despite best efforts the collaboration between research institutions and electricity distributors has been suboptimal. The GIA seeks to address this collaboration “gap” by identifying the needs of the industry and connecting with the research expertise within a commercial framework. Queensland University of Technology is a leading Queensland university and is a national leader in collaborative industry research and teaching. 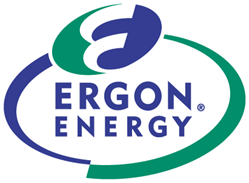 Ergon Energy is a distribution network service provider with a long history of innovation in the electricity industry. SmartGrid Partners is a solutions integrator established to provide strategic advisory and venture capability.